A whitehead, also known as a closed comedo, is a clogged hair follicle or pore, and is a sign of acne. 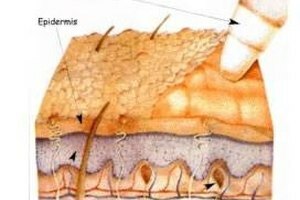 When dirt, skin debris or oil get trapped in this follicle, they can lead to inflammations and other forms of acne such as pimples or cystic acne. A whitehead is a major obstacle to clear, healthy skin. The process of bringing a whitehead to the surface of your skin is known as extraction. Dermatologists and beauticians perform extractions, but they can be expensive. But, you can perform them at home more cost effectively to help keep your skin clear and prevent unsightly eruptions. Use steam or heat to open the pore and soften the whitehead. This important first step allows easier extraction of the material that is clogging your skin, because heat opens pores. Extractions should be performed after a hot shower or using a steam bath. You can also press a hot washcloth against your face for several minutes. Extract the whitehead using a comedone extractor, a metal tool with a loop that is centered over the whitehead. Sanitize the tool with alcohol first. Gently press down on the whitehead until the material inside begins to press up, which you can then wipe away. Do not press too hard, because that may cause scarring or bruising. If the whitehead refuses to come out, you may have to use more steam or heat first. Use a pore strip or mask to loosen the whitehead from the pore. Pore strips are small adhesives that are wetted and placed over the affected area. After the strip dries, it pulls tthe material clogging the pore when lifted. 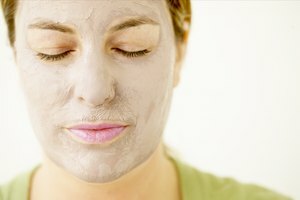 Look for a face mask that is designed to be peeled off rather than washed off. When you peel off the mask, you can also peel off the whitehead. Sanitize the area to prevent infection with rubbing alcohol or an antibacterial cream. 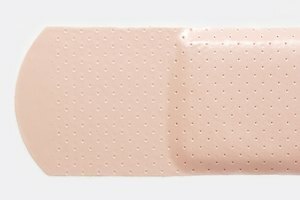 Even if you do not think you damaged your skin, it is possible that microscopic damage did occur. Based in the Washington, D.C. metro area, Lydia Wong has been writing professionally since 2008. Her expertise includes pharmaceutical research, medicine and electrical engineering. Wong has been published in professional school journals and technology blogs and holds a Doctor of Pharmacy from the University of Maryland.